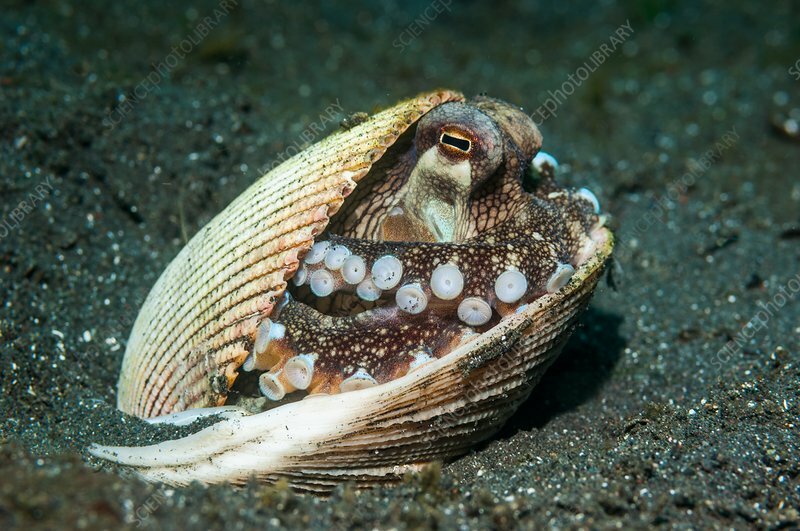 Veined octopus (Octopus marginatus) hiding in a shell. This octopus can bury itself in the sand of mud on the seabed but is also frequently found hiding in discarded shells or coconut shells. Photographed in the Lembeh Strait, North Sulawesi, Indonesia.